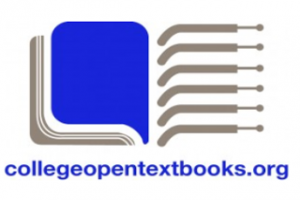 College Open Textbooks – Virtual Ability, Inc.
For the Community College Open Textbooks Collaborative, Virtual Ability, Inc. evaluated the accessibility of dozens of online textbooks and other course material. The function of the Collaborative is to encourage adoption of open digital textbooks by community and other two-year colleges. Open textbooks are available for use without restrictions and can be modified and then downloaded or printed from a web site or repository. Since open textbooks are often less costly than the traditional printed books, this move is intended to benefit students. The ability to easily modify open materials allows instructors to match texts to course objectives, thus benefitting curriculum designers and professors. Virtual Ability, Inc. trained and employed persons with disabilities to evaluate online course materials on the four WCAG Four Principles: perceivable, operable, understandable, and robustness. Perceivable materials are presented to intended users in ways they can perceive, either with their senses or through assistive technology. As an example, images on websites must have alt text that is accessible to screen reader software. Operable materials and their navigation systems work with whatever user interface is employed. For example, tables must be described as rows and columns, so that a screen reader does not interpret them as incomprehensible horizontal lines of text. Understandable materials and their interfaces can be comprehended by intended users. In textbooks, a glossary of new terms is very helpful to students. Robust materials can be interpreted reliably by users and assistive technologies. Robust materials remain accessible, even as technologies improve. hyperlinks to definitions or explanatory background information are useful in online course materials. For each of these four areas, specific criteria were developed against which materials were evaluated. A complete report and graphical summary for each textbook evaluated are available for over 100 open digital texts. The project took place in 2010. Funding was provided by The William and Flora Hewlett Foundation.